*Today we have partnered with Disney Hyperion to bring you this awesome giveaway prize pack! After experiencing a series of dangerous—and frankly, humiliating—trials at Camp Half-Blood, Lester must now leave the relative safety of the demigod training ground and embark on a hair-raising journey across North America. Somewhere in the American Midwest, he and his companions must find the most dangerous Oracle from ancient times: a haunted cave that may hold answers for Apollo in his quest to become a god again—if it doesn't kill him or drive him insane first. Standing in Apollo's way is the second member of the evil Triumvirate, a Roman emperor whose love of bloodshed and spectacle makes even Nero look tame. 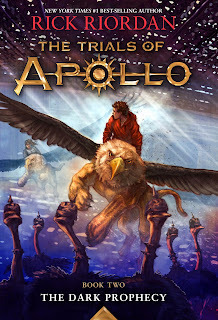 To survive the encounter, Apollo will need the help of son of Hephaestus Leo Valdez, the now-mortal sorceress Calypso, the bronze dragon Festus, and other unexpected allies—some familiar, some new—from the world of demigods. Come along for what promises to be a harrowing, hilarious, and haiku-filled ride…. So this is amazing amirite? I cried when the Heroes of Olympus ended because- Percy Jackson is my favorite son. BUT THEN HE CAME BACK *pterodactyl screech* MY LIFE JUST KEEPS GETTING BETTER BECAUSE LEO IS BACK AND HE IS MY SECOND FAVORITE SON! Also I have all of these theories clamoring around in my mind, that I can't choose a favorite. Actually, that's not true, I can. Time to go wait in a dark cave with my Percy Jackson books and wait for this one to come out. ***Apollo is the god of many things! To celebrate the release of The Dark Prophecy, three different prize packs will be offered in giveaways across the web inspired by Apollo’s godliness-- God of Music, God of Poetry, and God of the Sun. Collect them all! 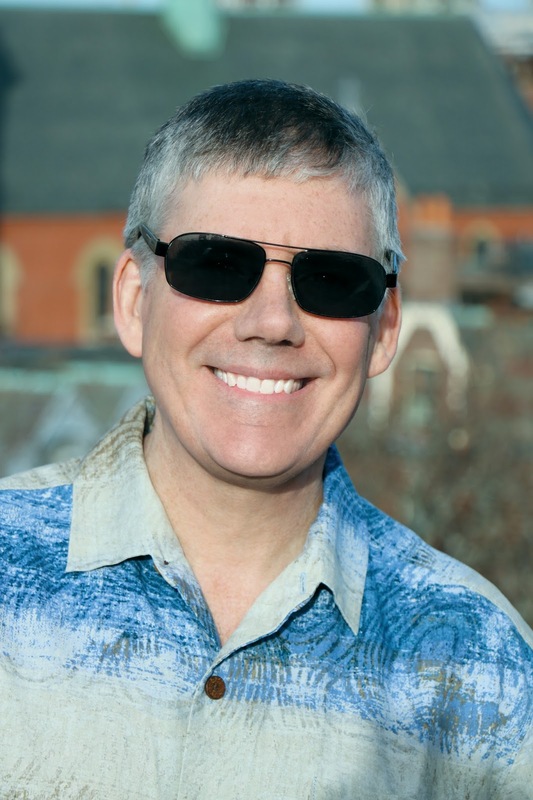 Rick Riordan, dubbed “storyteller of the gods” by Publishers Weekly, is the author of five #1 New York Times best-selling middle grade series with millions of copies sold throughout the world: Percy Jackson and the Olympians, The Heroes of Olympus, and the Trials of Apollo, based on Greek and Roman mythology; the Kane Chronicles, based on Ancient Egyptian mythology; and Magnus Chase and the Gods of Asgard, based on Norse mythology. 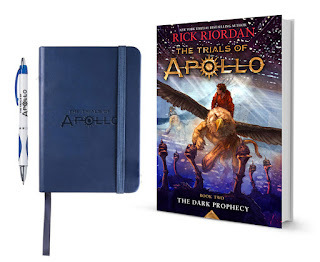 Rick collaborated with illustrator John Rocco on two #1 New York Times best-selling collections of Greek myths for the whole family: Percy Jackson’s Greek Gods and Percy Jackson’s Greek Heroes. Rick lives in Boston, Massachusetts with his wife and two sons. Follow him on Twitter at @camphalfblood.